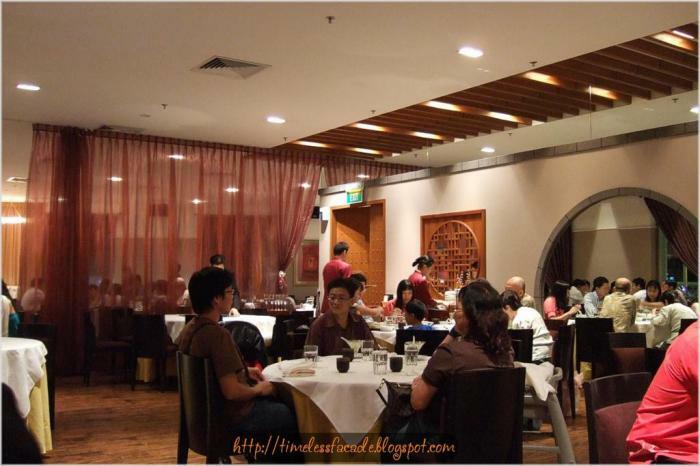 A small SzeChuan/ Cantonese restaurant with 22 dining tables max. Won several food awards for 2006 and 2007. Good quality food. Fragrant camphor-and-tea-smoked duck accompanied by steamed Chinese flower buns ($68) - I saw this dish on their website and decided that this was what we had yesterday. Didnt have too much of the fragrance and the duck itself was quite dry for me, even though it came with a sweet sauce. It was serviced peking duck style with the buns actually quite nice but no longer when left out cold for too long. This was the only dish we couldnt finish and unfortunately also the priciest dish of the night. Braised tofu with golden straw mushrooms - the tofu tasted homemade and the mushrooms overlaying it in a nice gooey sauce but nothing too special. Hong Kong Kailan with minced garlic - usual veg and I liked that it retained the natural crunch, although some said it tasted abit strange. Deep fried curry prawns - I liked this one! 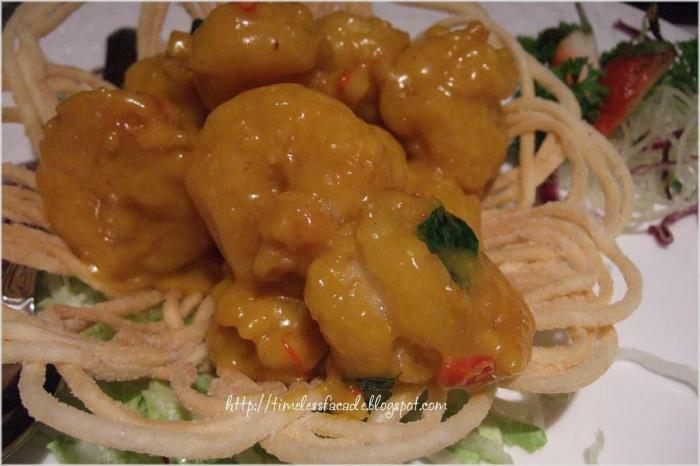 A good portion of big prawns slathered in curry sauce (think) with bits of curry leaves on top. The sauce didnt cause the sauce to go soggy which was excellent and probably means they served it quite immediately after it was done. Char Siew - this was really just okay for me, although they were quite lean. I have no issues with the service except the almost non-existent clearing of plates, which happened only once and it was after we've finished with the last course. The plus point is that they are very quick in refilling of hot tea. The total cost of about $215 is not worth the deal for me. Too bad. Deep Fried Live Prawns with Curry Leaves - A brilliant recommendation by our waiter I must say. I, for one, don't really fancy curry, but this dish kinda blew me away. The prawns were relatively huge, succulent and fresh, but the winner was the sauce which had a slight tinge of curry flavouring but was slightly sweet. Deep Fried Pork Ribs with Golden Garlic - Another recommendation by our waiter and I found it quite interesting. The pork ribs were juicy and tender whilst the sauce was sweet and hinted strongly of garlic with a salty aftertaste. Every individual flavour carried itself very well, which made the dish very easy to appreciate. 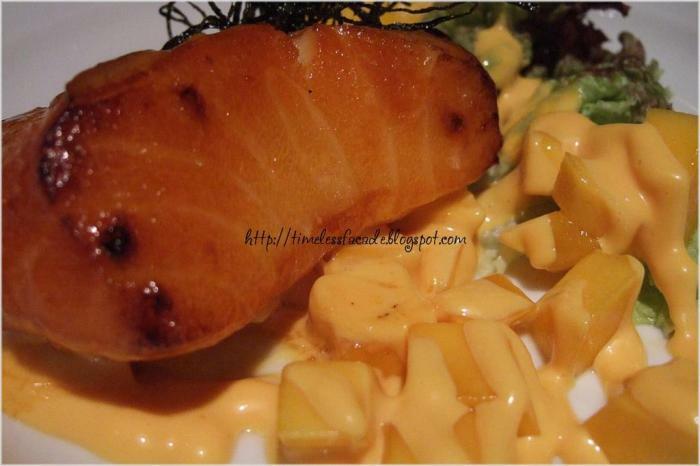 Baked Cod Fish with Mango - I didn't find this dish outstanding, but it was still quite a gem. The fish was fresh, nothing less and baked till the exterior turned a hue of brownish red while the flesh remained white and firm. When eaten with the slices of mango, the natural sweetness of the fish blended in well with the sweetness of the mango, creating a delectable dish that didn't come down hard on the palate. But there's certainly room for improvement, given that the mango slices weren't chilled when served, which would definitely have gone down better with the fish. Deep Fried Cod Fish with Oat Cereals - In all honesty, I didn't quite take to this dish simply because the oats taste was overwhelming. But my friend did fancy it, so to each his own I guess. Texture wise, the fish was well done with the flesh still firm and sweet while the exterior was slightly cripsy. Yang Chow Fried Rice - I lament the fact that good Yang Chow Fried Rice is difficult to find. Peony Jade's rendition isn't too far off though. The rice was homogeneously cooked and had a slight "wok hei" taste. Ingredients were generous but overall I found the dish a little bland. Perhaps a little salt and sugar would be nice. Chestnut with Egg White - Desserts kinda slided down the slope. Chestnut with egg white sounded intriguing to me so I ordered it and I regretted it right from the first sip. The chilled syrup tasted awfully weird and had this overpowering egg white taste. I took a few mouths and decided to call it quits, so you can guess how weird it was. According to the waiter, it is more popular with the older folks. 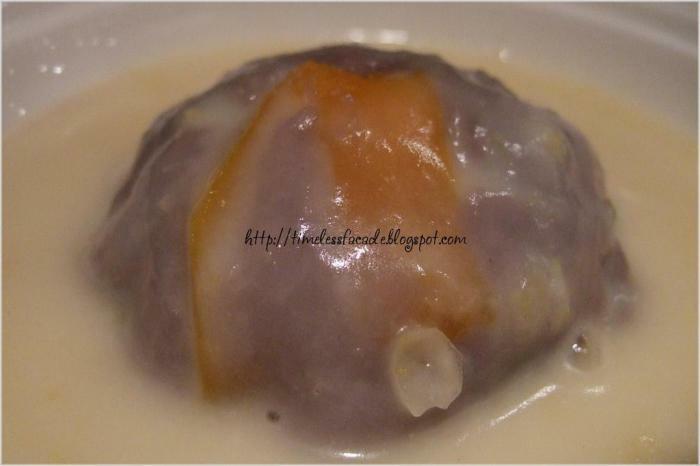 Yam with Sweet Corn Sauce - This was rather normal. The yam was a little too rough for my liking and the sweet corn sauce was way too sweet. Also, it felt weird eating yam with sweet corn. Somehow or rather, both flavours didn't go down well with each other. A nicely decorated restaurant. I had a 8 course lunch there by my clients. Thank you for the treat. The food quality was great. The 8 course lunch includes shark fin soup (can change to other soup for non-shark fin users), steamed sea bass, abalone, suckled duck with steamed buns( highly recommended). Dessert was cold mango paste with mango cubes ( highly recommended). 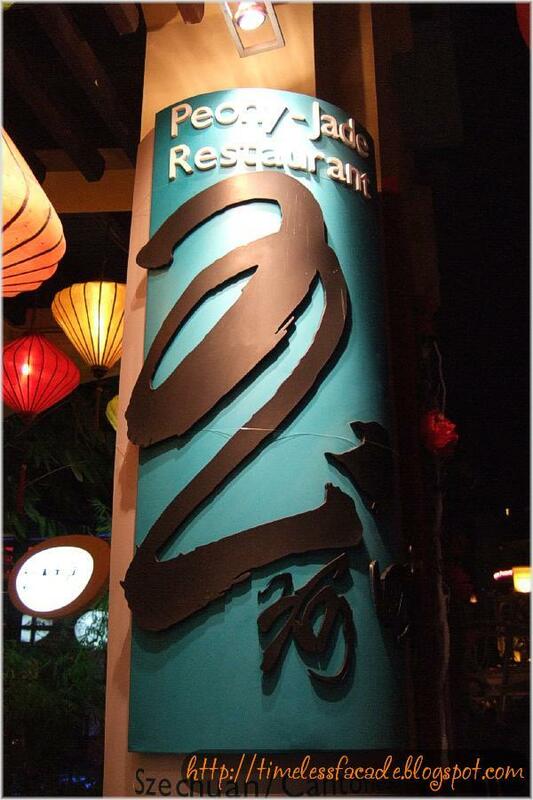 It is a small restaurant with 22 dining tables max. They used mirrors to magnify the interior. Service was good except their food of serving food can be quite be fast for 2 dishes, slow for the next 4 dishes and fast for the last 2 dishes. Think we can work out on their serving speed. A good place for treats be it family or ROM.